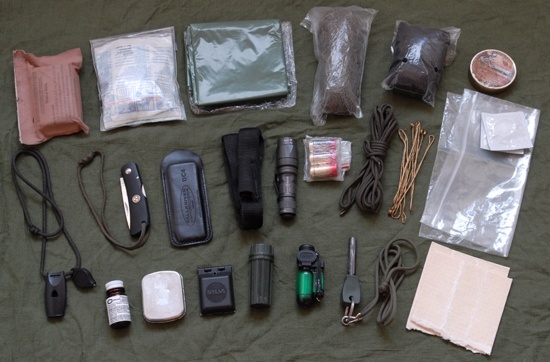 Whether you are preparing your first 24 hour bug out bag or are planning on hitting the back country with a well stocked survival backpack one thing is for certain you should always have the basics covered. The following list of items should be considered the bare minimum that the best survival backpack should contain regardless of your scenario. Clean water is an absolute must for survival. Drinking any water that you are unsure of the quality can pose a serious health risk. Even if the water looks clean it can contain lots of parasites, diseases and a host of other contaminates. The only way to truly know of water is safe to drink is to filter it properly and if possible to boil it. Boiling however, may not always be possible especially if you are on the move. A good water filter to carry with you is something like the LifeStraw. It's small light and extremely easy to use. It will filter out most particles from the water and will also kill 99.9% of parasites and bacteria. Carrying a sharp blade is an absolute must, and it's one of the few items that you should definitely carry on your person at all times in a survival situation. Backing a larger survival knife in you backpack and a smaller one on your belt is one of the smartest things you can do. A larger knife can be used to chop smaller bits of wood for kindling, strip bark, prepare meat and fish that you have killed. They can even be used to cut wire and dig holes if needed. Having the ability to start a fire late at night when you are cold, hungry and wet can mean a significant moral boost. Something as simple as a flint, or a pack of matches can mean the difference to sleeping warm and drying out your clothes and going to bed wet and cold. Try not to reply on only one source of ignition though. Seeing that they are so small and hardly weigh anything keep several packs of matches a few gas lighters and a good quality flint​ for striking. A first aid kit is an absolute must to have in your survival backpack yet you would be surprised just how many people actually forget to buy one. Even the simplest of cuts and grazes can turn into something a little more serious especially if you are not eating right, dehydrated and sleeping outdoors. Learning how to navigate with a map and compass and how to read the terrain in front of you really should be a life skill that is though in school.